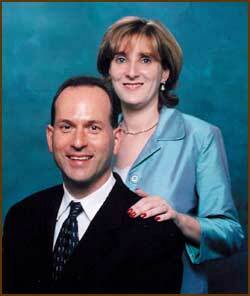 Barry & Tammy Karch specialize in residential real estate and investment properties in the greater El Paso, Texas area. With over 45 years combined experience, they are amongst El Paso's top Realtors. They provide caring, personal service and their goal is to make your transaction an enjoyable one. Barry and Tammy recently made the cover of "Broker*Agent" magazine. CLICK HERE to read their article! I'm a Real Estate Professional with a Short Sale and Foreclosure Resource Certification. If you are looking to buy a foreclosure I can help. The number of foreclosures is growing rapidly so let's get you started. I can also assist you in all facets of Real Estate whether it is buying or selling a home. Let's make your most important investment fun, exciting and the smartest experience you can have. I love being a part of El Paso's Real Estate Industry and the opportunity it affords me to serve my clients with an ethical commitment to their needs. I have been recognized as a top listing and selling agent in El Paso and I attribute my success to my devout Christian Faith. I am deeply involved in my church and in charitable organizations. I look forward to serving you with Excellence!!! In today's competitive Real Estate market, it's easy to become overwhelmed as to what decisions you have to make and if they are the right ones for you. My experience has helped make the dream of homeownership a reality for families. As a El Paso native, I have an understanding of our different communities and can provide you with a wealth of knowledge about schools, local events and residential guidance. Whether you are a first-time buyer or in the process of stepping up to your dream home, I am ready to help you with your real estate needs. Call me at 915-626-6169 or email me at YourElPasoHomes@yahoo.com . Sandy is a bilingual native El Pasoan, proud graduate of UTEP& Broker Associate at The Real Estate Power Houses. A consistent Multi-Million Dollar producer& member of the President's Club, her #1 priority is customer satisfaction. Sandy won the El Paso Country Club Women's Golf Championship record 21-times, past 2-time El Paso Women's City Golf Champion & was inducted into the El Paso Golf Hall of Fame in 1997. Let Sandy put her winning ways to work for you when buying or selling Real Estate in the El Paso area. Sandy’s hobbies include teaching and taking various exercise classes, family genealogy and using DNA to connect families. I'm a native El Pasoan, with a BBA from UTEP and a Post Baccalaureate teaching certificate. As an educator, I had the opportunity to "reach and teach" a myriad of personality types and learning styles. Being a good listener, tailoring my style to fit individual needs, and giving honest, heartfelt advice have led to lasting relationships with my students and their families. As a new Realtor, I will blend my interpersonal skills with my real estate knowledge to provide service with a personalized, caring approach. Call me at 915-630-8270 or email me at dlaudy701@aol.com . I look forward to helping you!